Back to a satisfying level of consistency after the uneven nature of the first sequel, Despicable Me 3 has small dashes of gooey yellow goodness and a feel good family storyline. It’s a picture of the nuclear family with a twist, they actually own nukes. Gru (Steve Carell) has settled into domestic bliss with Lucy (Kristen Wiig) and the girls but through circumstance has lost his job. That sting is eased by the discovery of a previously unknown brother Dru (Steve Carell doing double duty). The two unite and attempt to carry on with the family tradition. That tradition, being bad. 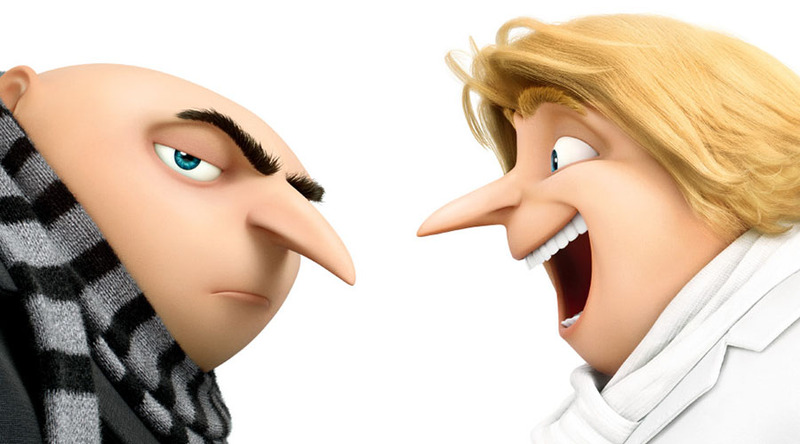 Now that Gru is flying the straight and narrow, the humour resides in him being pulled back into a life of evil lite. Being almost unlimited in creating arresting visuals backgrounds and crazy inventions, the filmmakers have created a lollie shop of fabulous sights, sounds and impossibly elaborate devices of ill intent. It’s all kept very much in the family friendly mode and parents can comfortably reside in this world without an excess of embarrassing explanations needed afterwards. Fans of the Minions might however feel a little short changed as those little yellow orbs are not featured as prominently as in previous editions.